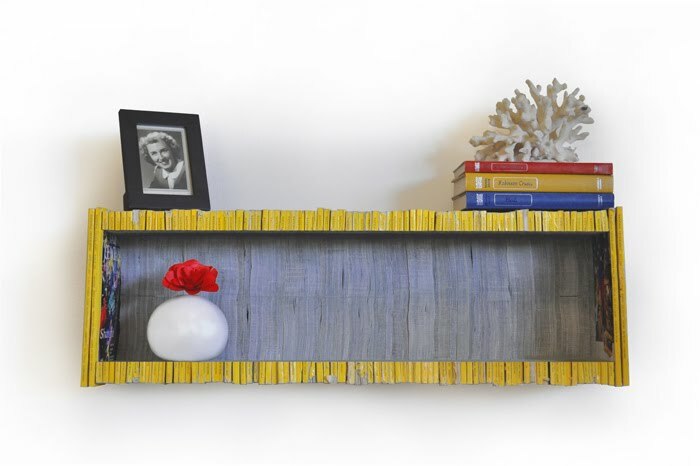 This bookshelf is made completely from National Geographic Magazines. I found it on Inhabitat. Check it out!